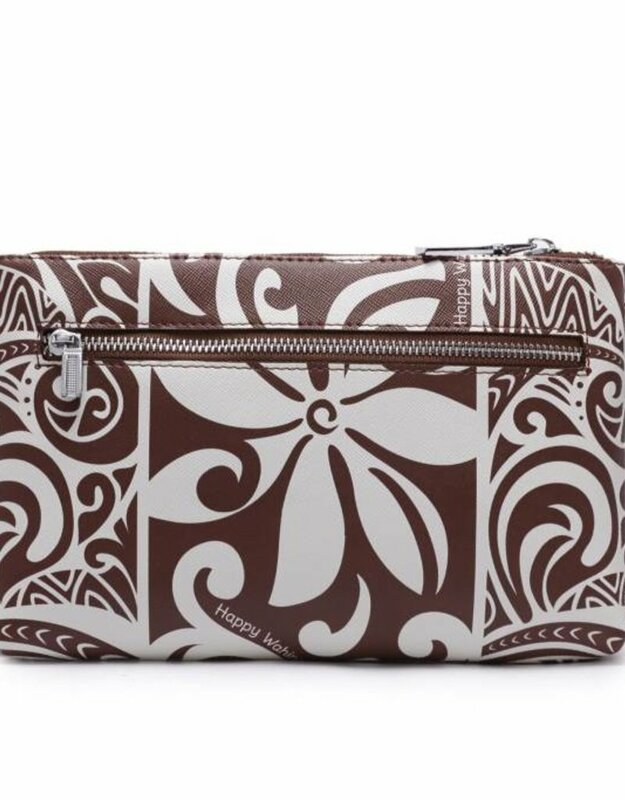 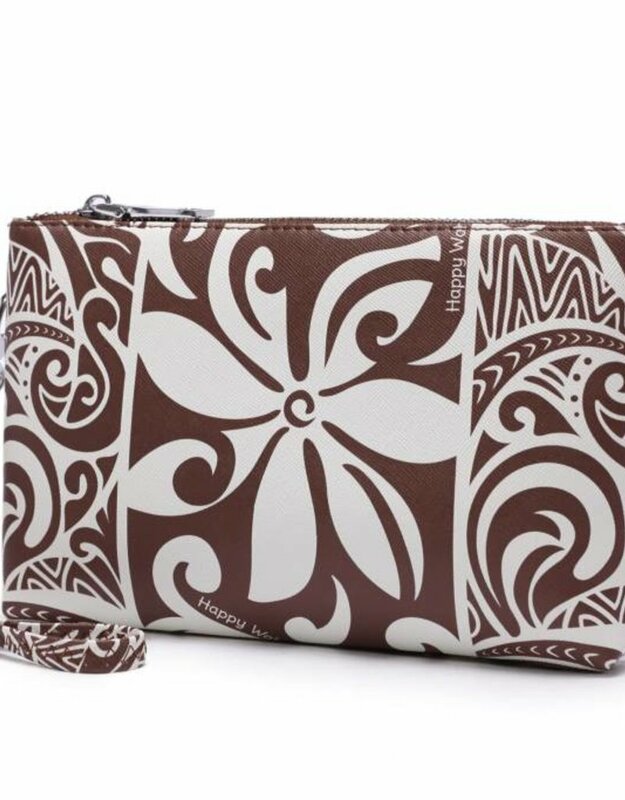 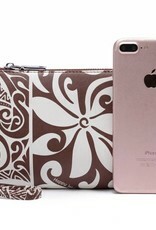 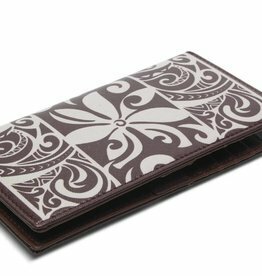 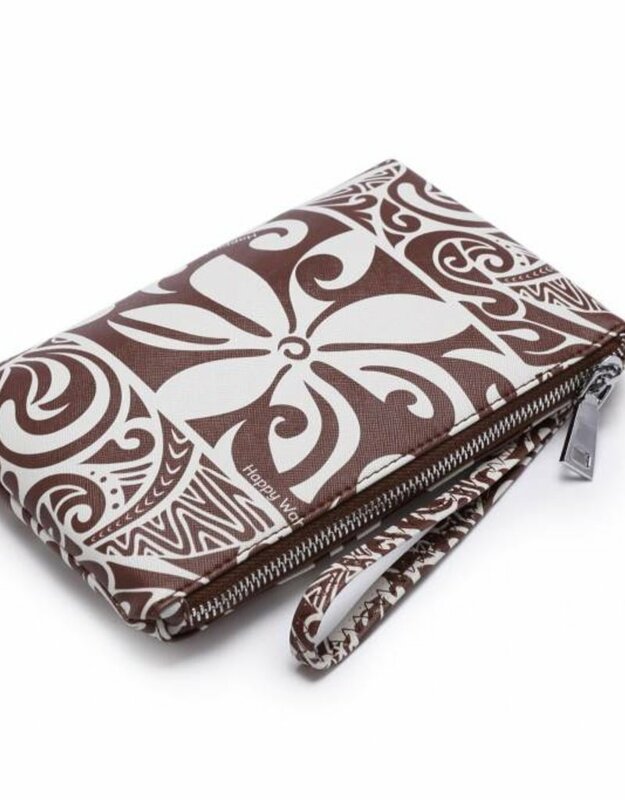 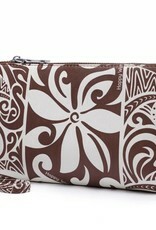 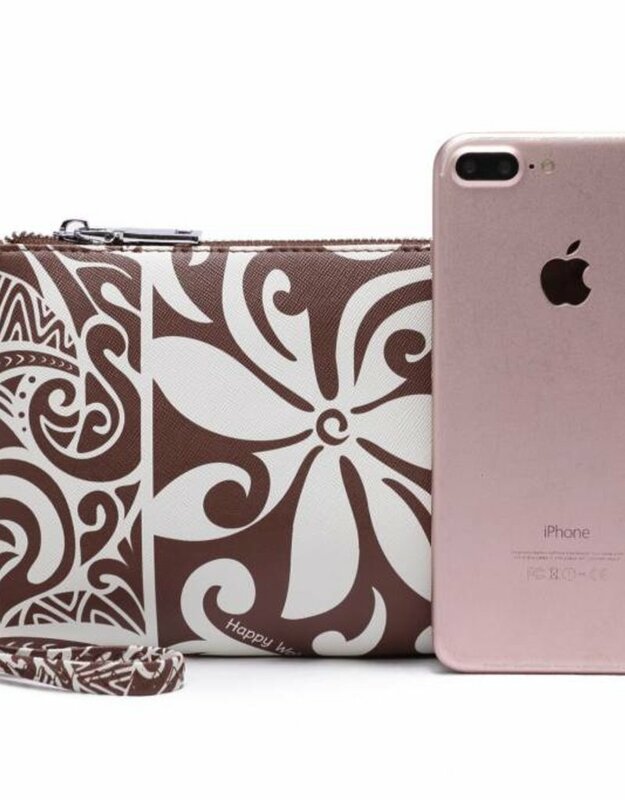 The melody wristlet in our brown tapa tiare print is the perfect grab 'n' go accessory. 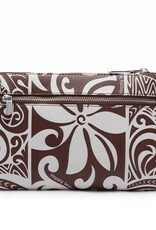 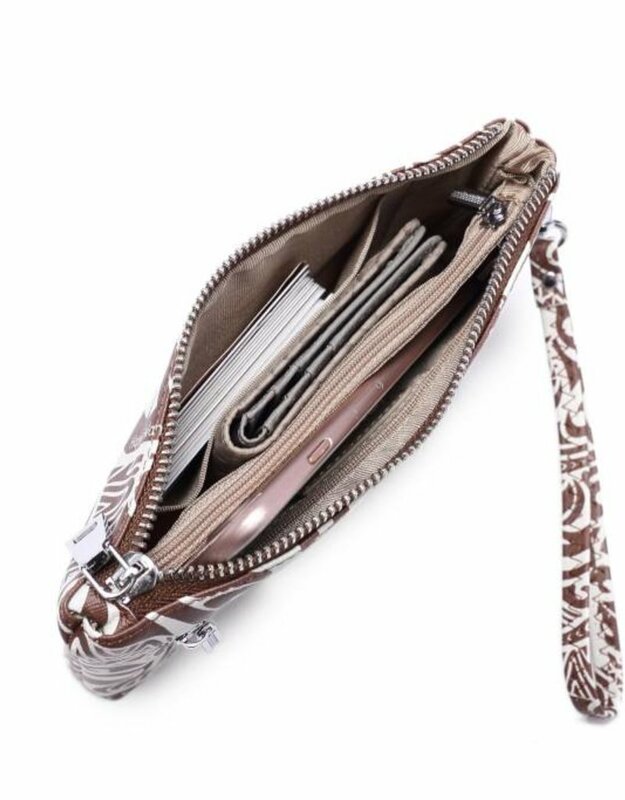 The wristlet has multiple compartments inside for all your essentials. 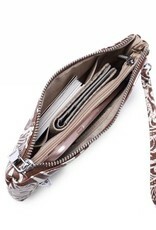 There is 1 zipped coin compartment, 2 separate inside areas, and one zipped compartment on the outside. 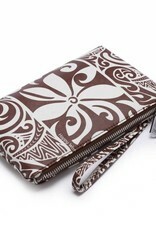 As well, the wristlet strap is detachable.